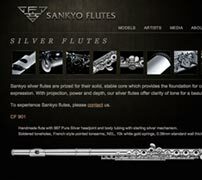 For over 45 years, Sankyo flutes have set the standard for exquisite craftsmanship and sonorous beauty. But with unstable distribution in the U.S. market along with a void in brand messaging, Sankyo availability and sales had suffered in recent years. 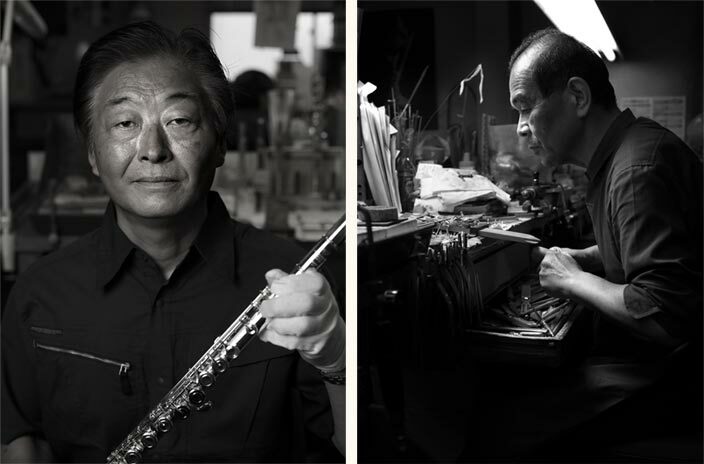 When the new U.S. distributor asked us to help re-energize the brand and the passion it inspires in flutists around the world, we recast the Sankyo story, spotlighting its founder-craftsmen and the striking beauty of the flutes they create. We chose the dark, silky palette of this re-launch to match the rich beauty and uniquely mellifluous sounds of the Sankyo flutes themselves. 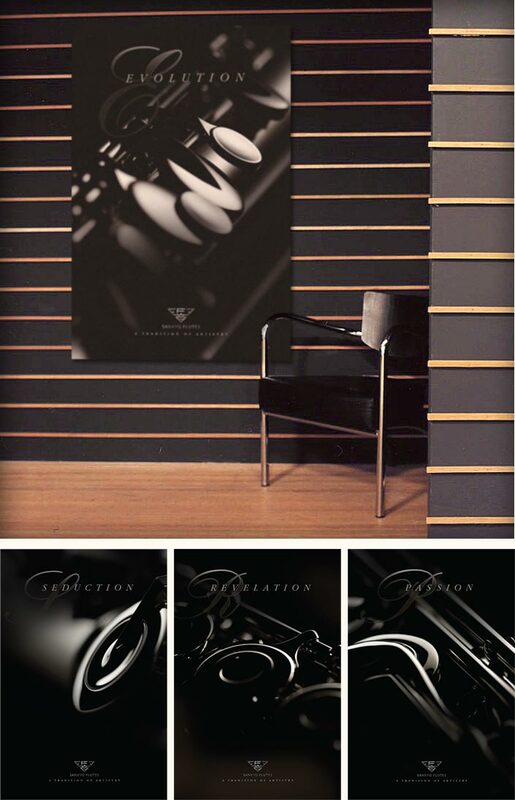 To re-establish the Sankyo brand, we captured a series of dramatic monochrome images of Sankyo flutes and paired them with aspirational words like passion and seduction. These images are immediately recognizable and telegraph a powerful brand image that anchors the content on the website while working just as powerfully in other channels. To maximize the impact of Sankyo’s investment in these images, we designed the series to work as POP signage, print ads in trade publications and even downloadable desktop artwork. 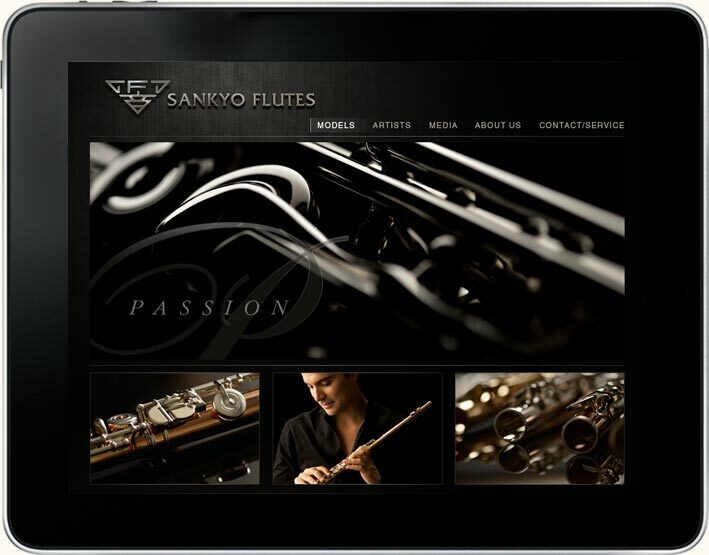 In addition to clarifying and re-launching the Sankyo brand, the upscale new website serves as a hub of information and inspiration. To cast a wide net of interest in the flute community, it profiles leading flutists, provides a calendar of flute conferences, and includes a global directory of exclusive distributors and repair centers. The site has been highly successful in global markets, and the factory in Japan is translating it for use in their domestic market as well. 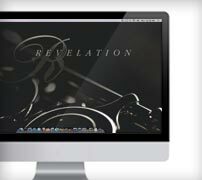 We designed the website with growth in mind. Sankyo can easily add or update information on every page of the site. 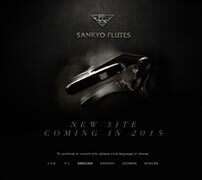 A glossy brochure romances the craftsmanship, artistry and passion that go into the creation of each Sankyo flute. 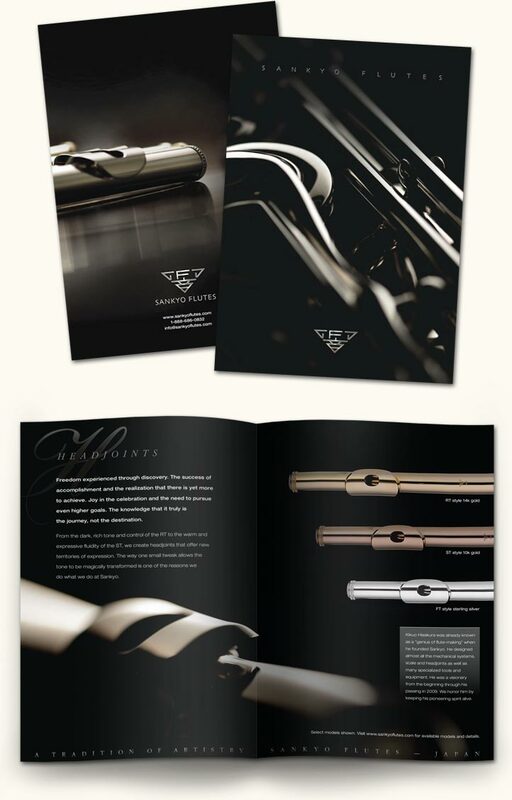 With robust copy and glimmering hero shots of the instruments against a rich black background, the brochure acts as an ambassador between Sankyo and the world, including shopkeepers, trade show attendees and flutists alike.